Natsuko Koike has graduated from the Fashion Institute of Technology in December 2014 where she took part in an 18-month program in Global Fashion Management for her MPS. Originally from Tokyo, she completed did her undergraduate studies at American University, and worked at the Hakuhodo PR firm prior to pursuing her MPS at FIT. This fellowship helped to further her interest in developing a career in corporate social responsibility within the fashion industry. 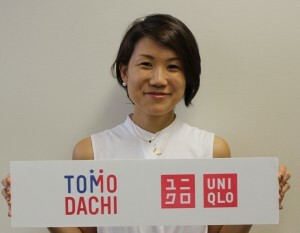 Natsuko is now working at the UNIQLO Fast Retailing Japan Office as their Global Marketing Manager. My first year at FIT has been just more than what I expected. I’ve been meeting with lots of people from all over the world throughout the GFM program, as well as many programs and events offered by TOMODACHI Initiative and the U.S.-Japan Council, which has given me new experiences and opportunities. The intensive 10-day Paris Seminar in this semester allowed me to deepen my relationships with students from Paris and Hong Kong as well as my FIT cohort. I believe this would offer opportunities for me even after graduation. By taking advantage of those, I would like to spend this summer and the fall semester meaningfully. 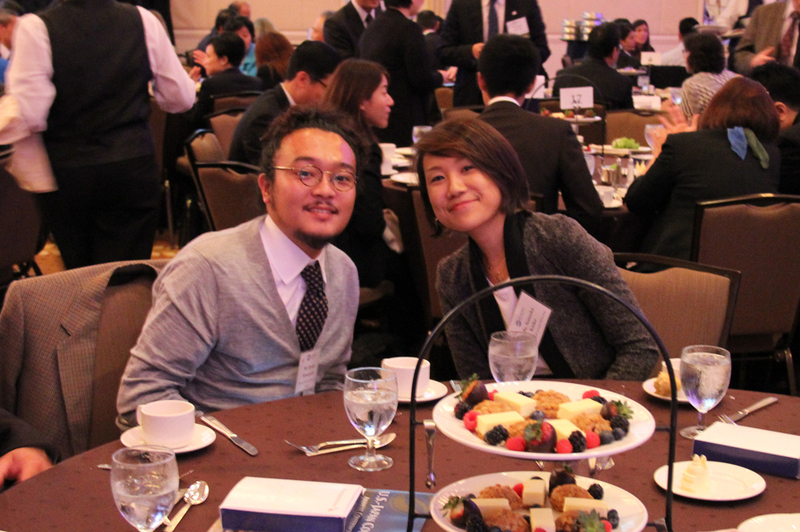 Ms. Koike attended the 2013 U.S.-Japan Council Annual Conference in October 3-5, 2013 at Washington, DC as a TOMODACHI UNIQLO Fellow. Her experience at the conference is below. I had the opportunity to participate in the US-Japan Council Annual Conference this year, in addition to meeting and speaking with many people who are involved with the TOMODACHI Initiative. It gave me some time to reflect on what it means to be a part of TOMODACHI, not just a TOMODACHI-UNIQLO Fellow. I had thought that I understood TOMODACHI as an organization but speaking to people about how they support and are involved with TOMODACHI, I feel like I understand TOMODACHI even better now. I will attempt to contribute to UNIQLO, TOMODACHI, and the US-Japan Council through the TOMODACHI-UNIQLO Fellowship, and would like to maintain and expand the network which became available to me through these organizations. Why did you apply to the TOMODACHI UNIQLO Fellowship? “Only people who can afford it enjoy fashion.” People often said this to me. Although I wanted to argue, I never knew what to say. Throughout my career, I have been exploring ways to respond to this statement. I applied to FIT’s MPS program in order to gain the industry knowledge and global management skills to lead and promote new corporate social responsibility (CSR) programs in the Japanese fashion industry. I first learned about CSR when I took a corporate sustainability course in college. The course sparked my interest in the CSR field and greatly changed my perspective. At the time I was looking for a job for after graduation, and this course influenced me to consider the field of sustainable business. This interest led to my job at Hakuhodo, the leading advertising agency in Japan. Since 2008 I have worked for various clients, and I have noticed that CSR programs are not well-known in Japan. However, some large firms like Uniqlo have begun big CSR projects. Seeing the growth of this trend, I believe that the fashion industry can greatly benefit from a stronger emphasis on CSR. At Hakuhodo I have had the chance to work with a number of global fashion firms to develop web, video and print ads, and I realized that I would need a much deeper understanding of the domestic and international fashion business to better serve my clients in the industry. One day in Fall 2012, I was looking at the CSR page of the Uniqlo website as reference for my work, and found this fellowship. I immediately decided to apply to this program. After earning my degree, my plan is to return to Tokyo and build my network of contacts in the Japanese fashion industry. I hope to achieve two specific goals. First, I want to encourage young and talented Japanese designers to study abroad for more experience. I hope to develop a program to promote study abroad opportunities as a way of learning about social responsibility. Second, I want to develop a program to encourage older Japanese people, particularly elder artisans that work in traditional Japanese styles like kimono, to share their craft with the modern Japanese fashion industry. This program would provide much needed encouragement to the elderly, as Japan has a rapidly aging population. In order to achieve the goals above, I will need an extensive knowledge of the fashion industry and its business models, along with a strong understanding of marketing and brand management of luxury brands. Additionally, I will need advanced management know-how in order to coordinate large-scale campaigns and, in the future, run my own consulting company. By studying abroad, I will be able to work with other international students to gain new perspectives and try new ideas. I will be able to gain a much broader picture of how the industry operates and the state of different areas within that industry. In the summer, I will also have the opportunity to intern at the CSR department of Uniqlo. This internship will complement my studies at FIT by helping me learn more about program structures and CSR efforts in the fashion industry. This internship opportunity will be a key part of my study abroad experience. There are a number of important reasons why FIT’s program is ideal for my career goals. FIT offers study abroad opportunities in both Paris and Hong Kong. Paris would offer me excellent opportunities to learn the newest trends in the industry, while Hong Kong is a growing center for production and supply within the Asian fashion industry. FIT’s courses on the global fashion industry will help me understand how to balance issues of profitability and sustainability. I am eager to take courses such as Global Marketing and Fashion Brand Management and Culture and International Business in order to gain this broader perspective. I will also learn more about managing cultural differences and taking into account new perspectives from encounters with my classmates and the many guest speakers and experts the school hosts. Exposure to FIT’s large international student community will help me build international contacts while giving me the opportunity to learn about fashion in different cultures. I believe that I have much to contribute to FIT’s program. From my experience at Hakuhodo, I can offer a Japanese perspective on fashion brands and my extensive experience working in teams. Also, I am sure that my peers will benefit from the skills I have honed giving presentations to company presidents and managers. I am eager to become an active member of FIT’s community. What connection and/or interest do you have with the United States? My family took me to travel abroad, especially to United States almost every year during my childhood, which I led me decide to attend American University after graduating from a high school in Tokyo. Through my exposure to the United States, I feel very close to the country and the friends that I have there.